This year's Cannes line-up has been announced. In competition, high-profile names include Mike Leigh, Abbas Kiarostami, Takeshi Kitano and Apichatpong Weerasethakul, whose latest feature, Uncle Boonmee Who Can Recall His Past Lives, is covered by Wise Kai's Thai Film Journal. European heavy-weights Jean-Luc Godard (with Film Socialisme) and Manoel De Oliveira (with Angelica) lead the Un Certain Regard category. Oliver Stone, Gregg Araki, Gilles Marchand, Stephen Frears and Woody Allen all screen out of competition. Ridley Scott's Robin Hood opens the festival. 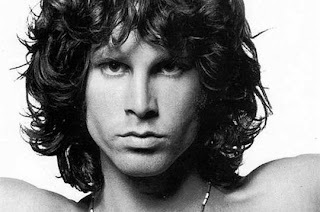 Godspeed director Robert Saitzyk will direct a The Last Beat, a "nontraditional biopic" about the final days of The Doors frontman Jim Morrison. Shooting is set to begin this October. Kirsten Dunst has landed the lead role in Melancholia, Lars von Trier's latest project. She joins Charlotte Gainsbourg, Kiefer Sutherland, Charlotte Rampling, Alexander Skarsgård, Stellan Skarsgård and Udo Kier, who are already on board. According to Deadline New York, filming will begin this July in Sweden. Darren Aronofsky is set to produce and direct wife Rachel Weisz as Jackie Kennedy, Latino Review reports. Jackie, scripted by Noah Oppenheim, takes place in the immediate aftermath of John F. Kennedy's assassination. Finally, could David Lynch really be planning a Mulholland Drive sequel?